Here, I cover a list of 10 online JPG to SVG file converter free websites. These online file converters work differently. Some of them let you upload JPG file from Computer, image URL or from Dropbox and Google Drive while some sites let you upload images only from PC. The converters support different conversions such as audios, videos, images, documents, eBooks, archives, etc., while a few websites among these converts only image files. Using these sites, you can convert images into formats like PNG, JPEG, GIF, JPG, SVG, etc. The best thing about these converters is that there is no watermark on the images after conversion. You can follow a few simple steps to convert JPG to SVG file. Just upload the input file, choose an output format and start converting your files. Some of these sites let you do image settings where you can adjust smoothening and colors of the image. Let’s go through each website and understand how do they work individually. ONLINE-CONVERT.COM (Homepage) is a free JPG to SVG converter website. This online file converter lets you convert media files (images, audios, videos, documents, ebooks, etc.) into different file formats. To convert JPG file into SVG, you can choose JPG file from your PC or enter the URL of JPG file. Also, you can upload an image from Dropbox or Google Drive. In order to convert images from JPG to SVG file, choose any of the above-mentioned ways to upload an image into this online file converter. After that, you can click on Conversion. If you want to do optional settings then you can do that too. The optional settings have features like change size, color, crop pixels, etc. Also, you can save the setting of these customizations but you have to log in for that. In the image above, I added JPG file from my PC and then clicked on Start conversion. Thereafter, the image gets automatically download in your PC in SVG file format. Convertio (Homepage) is another website to convert JPG to SVG file format. This online file converter is very similar to the above-mentioned site. You can convert various files like image, document, audio, video, eBook, etc., into different file formats. Apart from that, this site works as a presentation and font converter as well. To convert JPG file into SVG, you can drop JPG image file either from Computer or enter JPG image URL. You can drop JPG file from Dropbox and Google Drive as well. The maximum file size of uploading JPG file is 100 MB. In the image above, I entered JPG image URL. You can add multiple image URL as well. After that, choose the file format type (SVG), then click on Convert. The image gets converted quickly which you can download on your computer. SVG Creator (Homepage) is a good website that lets you convert JPG, JPEG, PNG, GIF into SVG file format. The site is simple to use. You can select JPG file only from the computer. After that, you can click on CONVERT YOU FILE in order to convert JPG to SVG file format. In the image above, you can see how it converted the original JPG file into SVG file format. However, this online file converter might take some time, depending upon the size of an image. FreeFileConvert (Homepage) is a good JPG to SVG file converter. The site lets you convert files to different formats such as audio, video, image, vector graphics, archive, document, eBook, fonts, and presentations. You can upload a file from your computer, Dropbox, Google Drive or add image URL. Also, you can add 5 files at the same time with up to 300 MB size combined. You can start the process of converting files into different formats into three ways. Once you follow these steps then you can download the converted file. As the name suggests, this (PNG or JPG to SVG) website converts PNG and JPG files into SVG. This online file converter lets you select the number of palettes for your output vector file. When you visit the site, you might face a lot of ad pop-ups. You will find the image converter at the bottom of the page. You can drag and drop or choose a JPG file from your computer. Once you add an image, this online converter provides you color palettes that contain in the uploaded image. You can add more color by clicking on (+)/(-) signs. You can adjust the smoothness of the image by using Simplify option. Then, you can click on Generate. After that, you will see the converted result in a few seconds which you can download. This is how you can easily convert JPG to SVG file. Vector Magic (Homepage) is another good option you can go with. Using this site, you can easily convert files JPG, GIF, BMP, PNG into different files formats like SVG, PDF, EPF vectors. In order to convert JPG to SVG file, you can use three ways; click on Drag Image Here or Pick the image to upload or Copy paste the image. Once you upload JPG image file, the online converter analyzes the image and then provide you the vector image output in a few seconds. After converting the image, you can customize settings to make your output look more good in quality. You can set the detail (low/medium/high), customize colors as well. You can remove any of the color available in the image. After that, you can download the result in your computer. The website (OnlineConvertFree) is a free JPG to SVG file converter. The site lets you convert documents, books, audios, images, and archive into different file formats. This online image converter converts images into formats like PNG, BMP, JPEG, SVG, TIFF, DJVU, JPG, etc. To convert JPG images into SVG file format, you can drop a file from your computer. Then, choose a file format and click on Convert. It takes a few seconds to provide you the output of that image. After that, you can download the converted file in your computer. After looking at the result, you might not find any major changes in the picture. Just like above-mentioned sites, there is nothing like vector graphics in the image. But the converted image file saves in SVG file format. Free Online Converter (Homepage) is another JPG to SVG file converter. You can convert images, audio, document, vector images, videos, and archives into different file formats. Also, this online converter lets you take other advantages like you can create GIF animation, optimize JPEG, PNG, optimize SVG, etc. 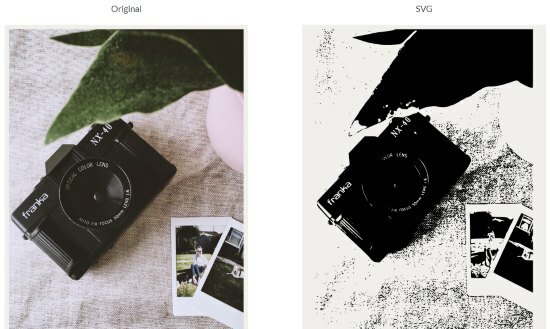 You can convert JPG images to SVG file format very easily. You just need to choose JPG file form your PC and click on the Convert button. This online file converter provides you a quick result. 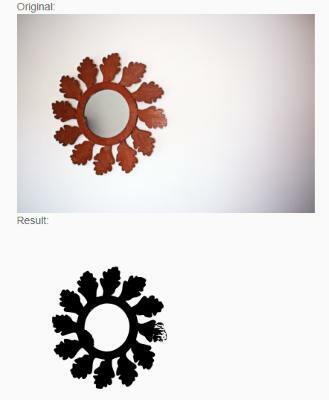 As you can see in the image above how it converted the original JPG image into SVG file format. Picsvg (Homepage) is a simple JPG to SVG file converter. You can also upload other files (PNG, JPG, GIF) to convert in SVG format. The file size can be uploaded up to 4 MB. To convert a JPG file, you can click on UPLOAD A PICTURE in order to upload the JPG image to convert. Once you upload JPG file, this online file converter automatically converts the image into SVG file. After that, you can download the output in your PC. Autotracer.org (Homepage) is a good option to convert JPG to SVG file. 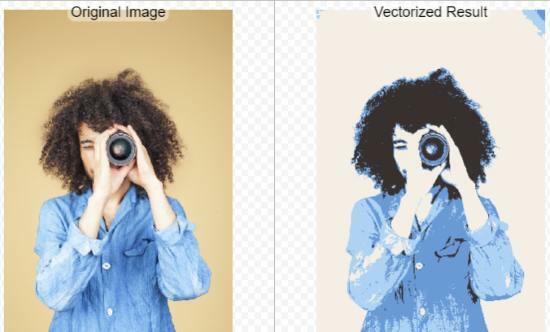 The site is an online image vectorizer where you can GIF, JPG, PNG files to SVG file format. You can choose the file from your PC or enter an image URL. The maximum file size to upload is 6 MB. Then, you can select the output file format (SVG). You can also reduce the number of colors from the image. Also, this online file converter lets you do optional settings where you can make smoothing in more details, ignore white background, etc. Once you’re done with the customization of the image, you can click on Start button. As you can see in the image above, this is how this converter provides the output of the converted SVG file. You may also read this article to convert TIFF file to SVG file format. 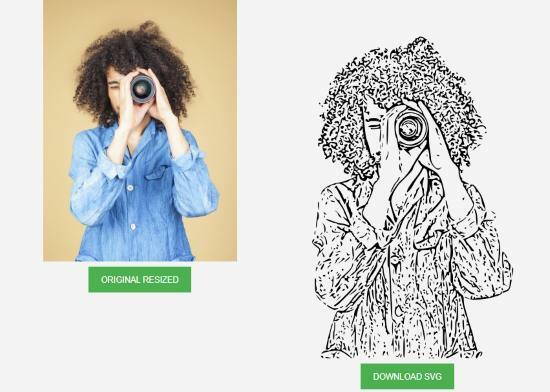 Using these online file converters, you can easily convert JPG to SVG file. All of the above-mentioned websites are easy to use and provide you good output. 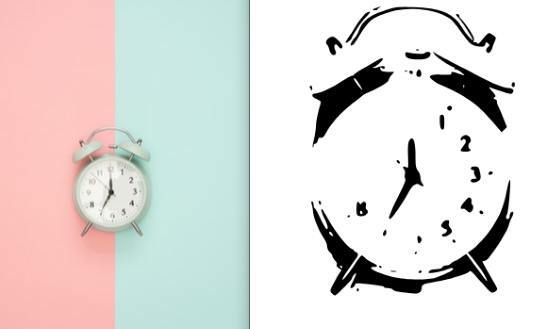 You may try any of these sites to convert images in very less time.